Baywatch: Priyanka Chopra Is The Sexiest Baddie Of Town In This New Trailer. . .
It’s all about sexiest looks of Priyanka Chopra in the new trailer of Baywatch! Our desi girl is making us proud with her back to back amazing performances. Whether it’s her Bollywood movies, Hollywood TV series or her stunning red carpet looks; this girl never fails to amaze us. Not only she won the millions of hearts of Indians, she is now also recognized as a popular face of Hollywood. With her brilliant performance in ‘Quantico’, she has made her mark in international film industry and all India is proud of her. Recently, when the film version of popular TV show ‘Baywatch’ from 90s was announced, everyone got really excited. Our excitement reachedincreased, when Priyanka Chopra was announced to be a part of this movie. Yes, that’s absolutely true. Those who don’t know, our desi girl is playing the role of ‘Victoria Leeds’ who is the baddie in the movie. 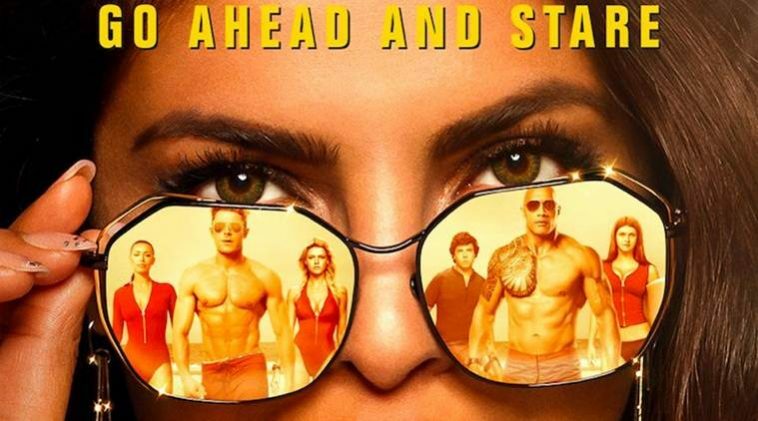 When the first trailer of Baywatch was launched, everyone was talking about Priyanka Chopra’s role in it which was literally a kind of blink-and-you-miss-it. We could only see her for few seconds in which she was looking breathtakingly beautiful. Since then, there is speculation about whether Priyanka’s role in the movie is of special importance or not. But all our speculations proved wrong when the new trailer of Baywatch just released recently. And guess what, we can see a lot of Priyanka Chopra in it. Priyanka is seen in the sexiest avatar and we cannot get enough of her bold looks. In this trailer, we can see The Rock introducing Priyanka Chopra to her team mates. Later we see her holding gun and plotting something suspicious related to drug trafficking. All her looks are to die for and we cannot wait to watch this film which is going to be released on May 25th, 2017 in United States. Currently, Priyanka Chopra is in India for a short time and she’ll leave for US soon to start the promotional activities of the film.